Size: 930 sq. 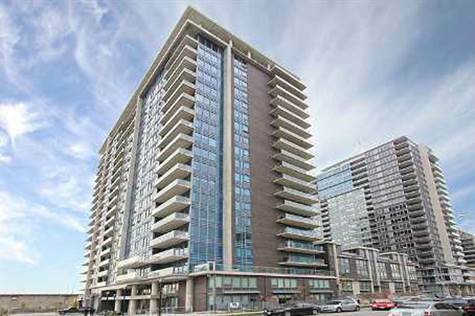 ft. "+ 100 sq.ft Balcony"
Stunning 2 Bedroom + Den South East Corner Unit in Liberty Village's BLISS. $$$ on Upgrades! Desirable Split Bedroom Layout. Soaring 9' Ceilings & No Wasted Space! Low Maintenance. Laminate Wood Floors Throughout. South East City and Lake Views. Painted Concrete Ceilings. Upgraded Baths & Large Balcony. Fantastic Living Space. Available June 1st.